Pull up a seat at a wine-fueled roundtable on breaking the glass ceiling, friendship, and the future of the wine industry. It's early in the afternoon on a sunny Sunday in Napa Valley, and the question isn’t whether to have another glass of wine; it’s which one—or whose, really—to have next. This not-unpleasant conundrum is typical when friends Shannon Staglin, Jasmine Hirsch, Carissa Mondavi, Maya Dalla Valle, and Sarah Heller get together. Heller’s a chef, but the other four could be a snapshot of the future of California wine. All are poised to write the next chapter of history at their families’ respective wineries. Wine has long been a male-dominated business—of the more than 3,700 wineries in California, only about 10 percent have a female lead winemaker, according to professors emeritus Lucia and John Gilbert of Santa Clara University’s Women Winemakers research project. But slowly, surely, that paradigm is changing. 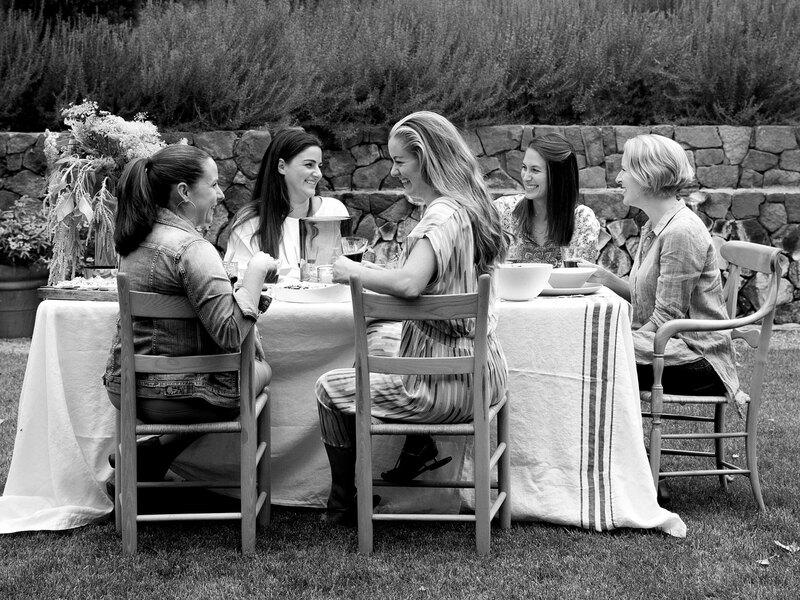 Today, these young vintners are talking shop over a springtime potluck on the Staglin property: They contributed their favorite wines, and, together with Heller, family dishes that take full advantage of wine country’s incredible agricultural bounty. 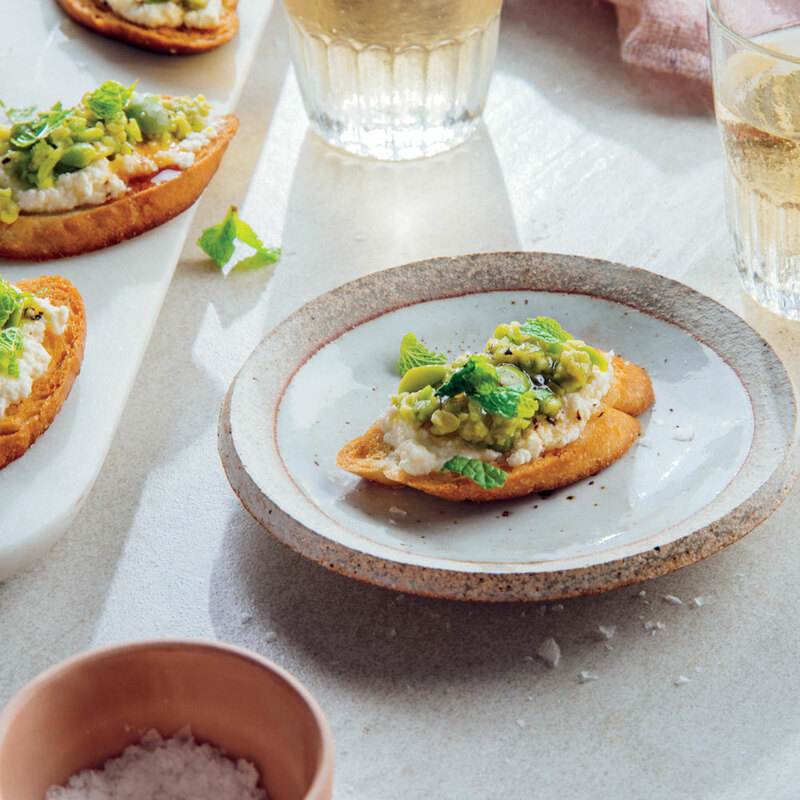 There are crisp crostini topped with Bellwether Farms goat cheese and honey from the Staglins’ own hives, served with a springtime-bright English pea and watercress soup with local Dungeness crab. There’s tender roasted rack of lamb with a peppery radish leaf pesto (both Heller’s creations) and Mondavi’s wild rice salad with steamed beets and fresh herbs. Picking the first two wines for the meal is easy—a lightly toasty, stone-fruity 2016 Chardonnay from Staglin and Hirsch’s bright 2014 San Andreas Fault Pinot Noir—but then it’s Cabernet showdown time. Which next, the intense 2014 Continuum or the elegant 2014 Dalla Valle, both Cabernet-based wines that would be excellent with the lamb? The answer proves to be simple: Just bring out more glasses. Still, it was a stressful moment, even if now, with the sun overhead and the new leaves green on the vines, it’s beginning to seem longer and longer ago. Despite a general inclination to avoid business talk, the friends compare notes on being a woman in today’s wine world. “In my family, I’m the fourth generation, but the first three were entirely male-dominated,” Mondavi says. “We really shouldn’t get credit for that shift, though,” Staglin says. “It’s more women like my mom, Maya’s mother, Celia Welch, Beth Novak [Milliken], that generation.” Welch is one of the valley’s most acclaimed winemakers, and Novak Milliken runs her family’s historic Spottswoode winery. They run through a roll call of other pioneering women winemakers: Cathy Corison, Heidi Barrett, Merry Edwards, Zelma Long. “—And you get distance and realize what an amazing business this is,” Staglin says. “It is. I mean, except when people coming to our winery from Continuum are two hours late,” says Dalla Valle, joking. “A rare newt?” Mondavi asks her. “A very rare newt,” Hirsch confirms. The women all consider that for a moment, and then, because what else can you do when you’re with your best friends and the subject has turned to newts, they burst out laughing and raise their glasses—to friendship, to the springtime, to success, to life. Jasmine Hirsch manages all aspects of her family’s eponymous winery, while her father, David, still farms their 72 acres of vineyards. The 2014 Hirsch Vineyards San Andreas Fault Estate Pinot Noir ($60) that Jasmine brought to the picnic at Staglin exemplifies the character of the Pinot Noirs from this groundbreaking far Sonoma Coast estate: poised, floral, and terroir-driven, with incredible precision of flavor. 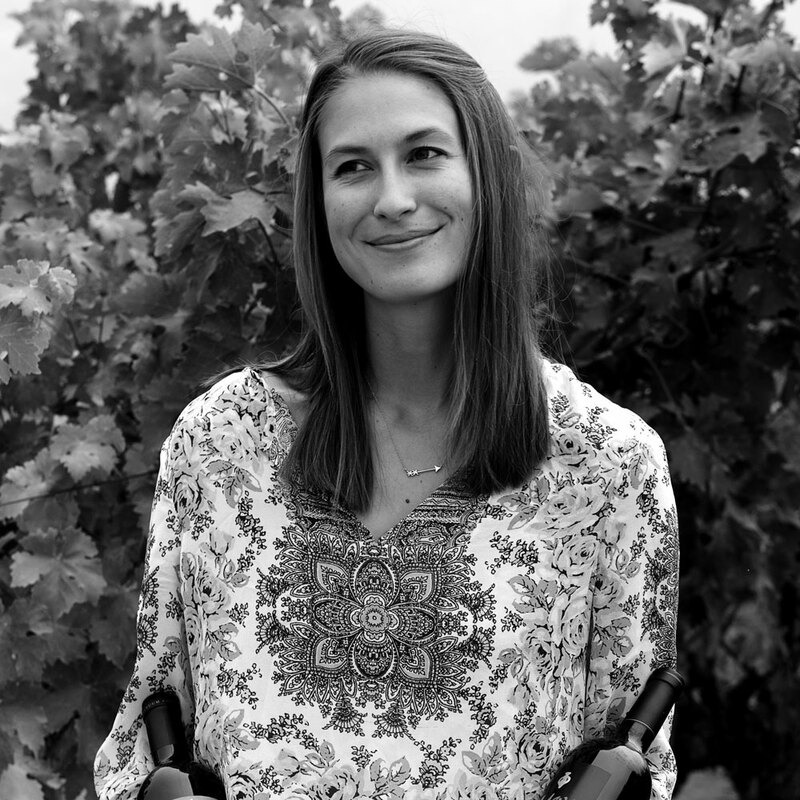 Shannon Staglin is president of Staglin Family Vineyard, which her parents founded in 1985, and oversees this significant Rutherford property. Though Staglin is best known for its sought-after estate Cabernet, to accompany the sheep’s milk ricotta crostini at the potluck, Shannon poured the 2016 Staglin Family Vineyard Estate Chardonnay ($80), a rich yet balanced white, full of subtle orchard fruit and melon notes, with a polished sheen of French oak. 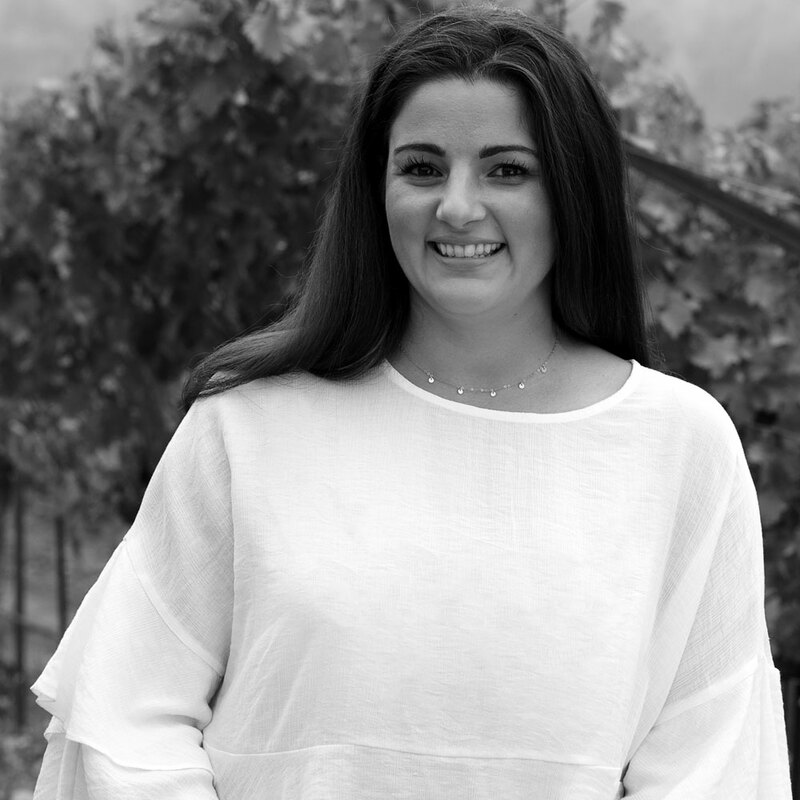 Maya Dalla Valle, director at Dalla Valle Vineyards, studied winemaking at Cornell and in Bordeaux, then worked stages at properties such as Ornellaia and Château Pétrus before returning to her family home in Napa Valley. Though the group drank Dalla Valle’s legendary Maya red—named after her—with lunch, that wine is hard to find (not to mention $500 a bottle). The estate’s 2014 Dalla Valle Napa Valley Cabernet Sauvignon ($200) is no less compelling, with structured tannins, intense blueberry fruit, and wild thyme notes. 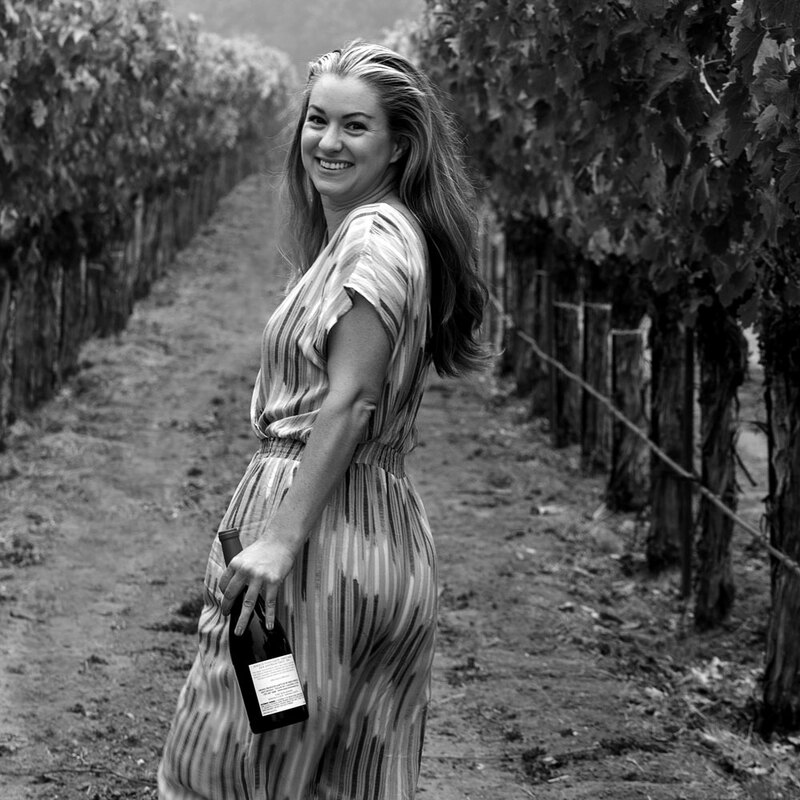 Carissa Mondavi was born into one of the most famous, if not the most famous, winemaking families in California. Today, she handles marketing and communications for Continuum Estate, which her father, Tim; aunt Marcia; and grandfather Robert founded atop Pritchard Hill in 2005. The 2014 Continuum ($225) she brought to the potluck is the second vintage to use fruit solely from the estate’s vineyards. Powerful and intense, with vivid cherry fruit and notes of pencil lead and smoke, it should cellar well for decades. 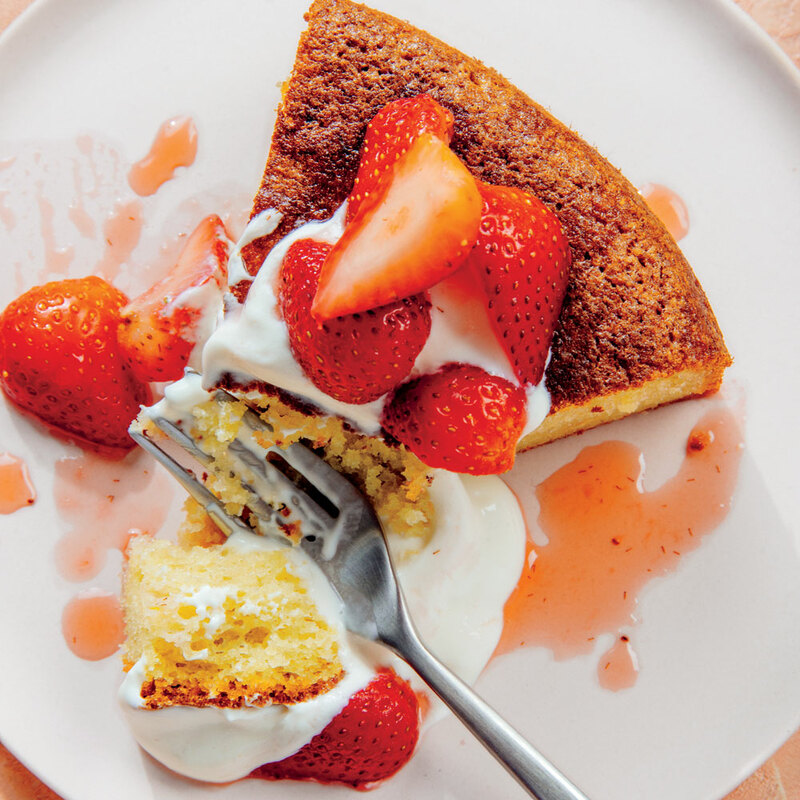 Sarah Heller is the acclaimed chef-proprietor of Radish Leaf Cuisine, which she founded after cooking at both Bouchon Bistro and Meadowood. 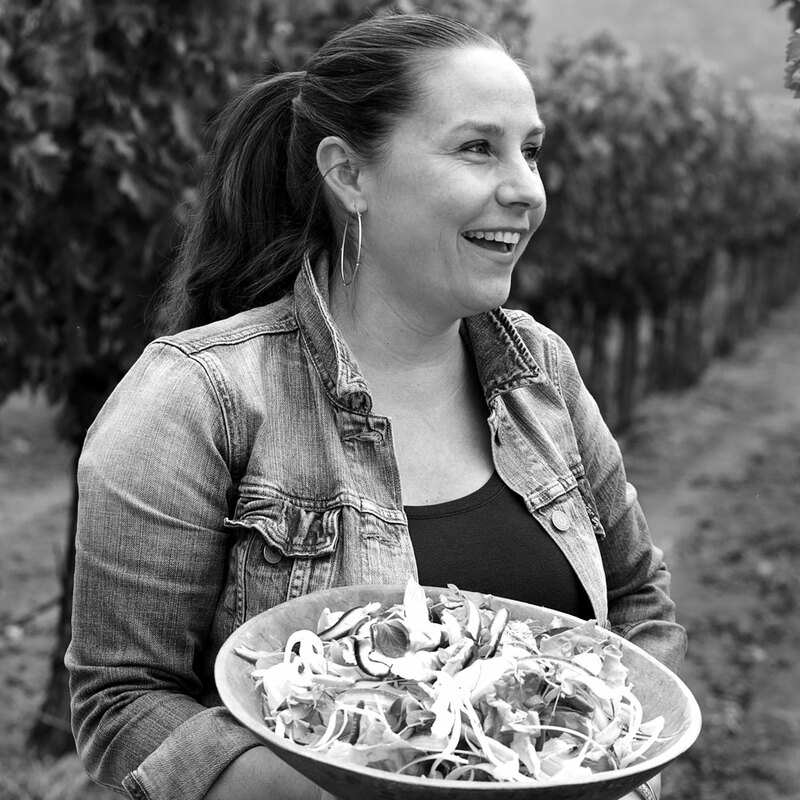 Today she creates menus using ultra-fresh, local ingredients for wineries and private clients throughout Napa Valley. But the list of groundbreaking women in the wine industry doesn't end in California, of course. 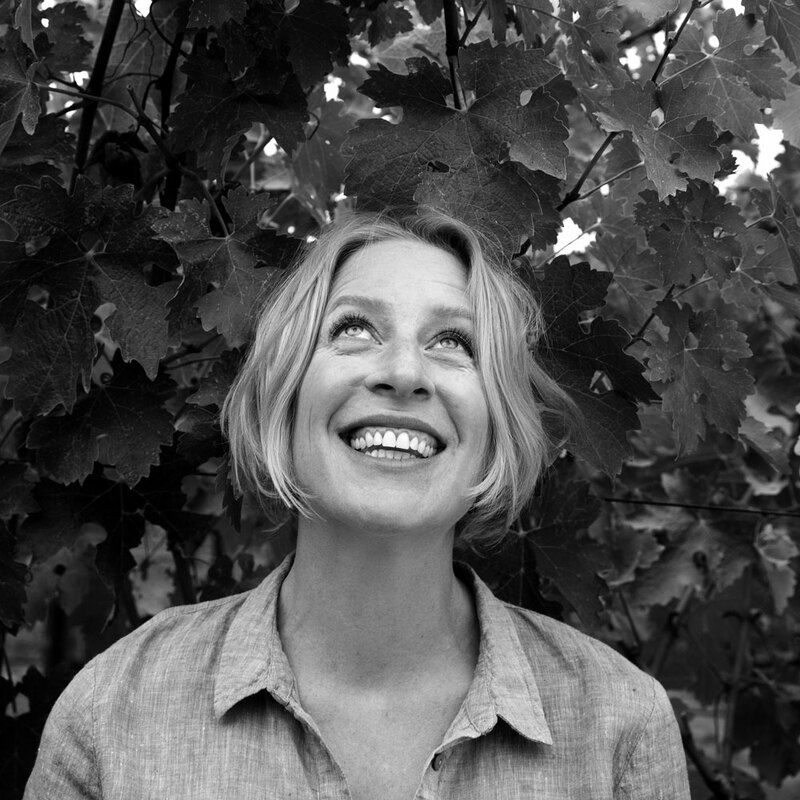 Read on as wine writer Sarah Bray lists 15 more women to watch in the wine world right now.